Click on a topic to visit the recommended websites, or to hear how to say the dinosaur names in this book. An exciting peek into the extraordinary world of dinosaurs. Combines fascinating information with simple flowing text to excite and inspire beginner readers. 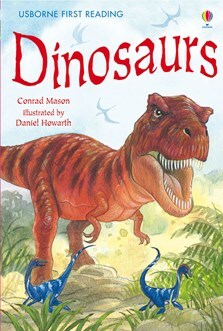 Includes extra dinosaur facts, index, glossary, timeline and internet links to carefully selected websites.